Antal Rogan, minister for the prime minister’s office, told the parliament that the Hungarian government aims to “tighten” the so-called Stop Soros Act, which will regulate and restrict the activities of NGOs in the country prior to presenting it to parliament in June. "We need a tighter proposal than the one currently in front of parliament," minister for PM Viktor Orban's cabinet office, Antal Rogan, told parliament on Monday, according to the Reuters news agency. 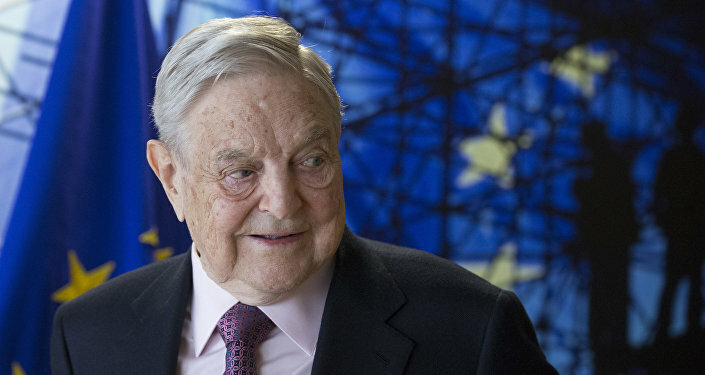 The primary target of the legislation is George Soros’ Open Society Foundation, which has been accused by Budapest of meddling in the country’s internal affairs and the recent parliamentary election to favor pro-immigration parties and candidates. In addition to supporting pro-immigrant causes, the billionaire has also donated funds to pro-EU groups, such as the Best for Britain group, which is campaigning against Brexit. He donated another US$550,000 to the organization on April 9 after reports emerged of disgraced data firm Cambridge Analytica working with a pro-Brexit campaigning group in the run up to the referendum on the UK’s membership of the union. Budapest is set to successfully restrict the influence of Soros’ NGOs in Hungary, just weeks after the Fidesz Party and its coalition partner were voted to remain in power.